All Carrot: There are 6 products in this category. Hybrid Nantes with a strong medium-green top colour. Its roots are 15-18cm long, 3.5-3.8cm shoulders. Colour is medium-orange and cylindrical shape with blunt tips. 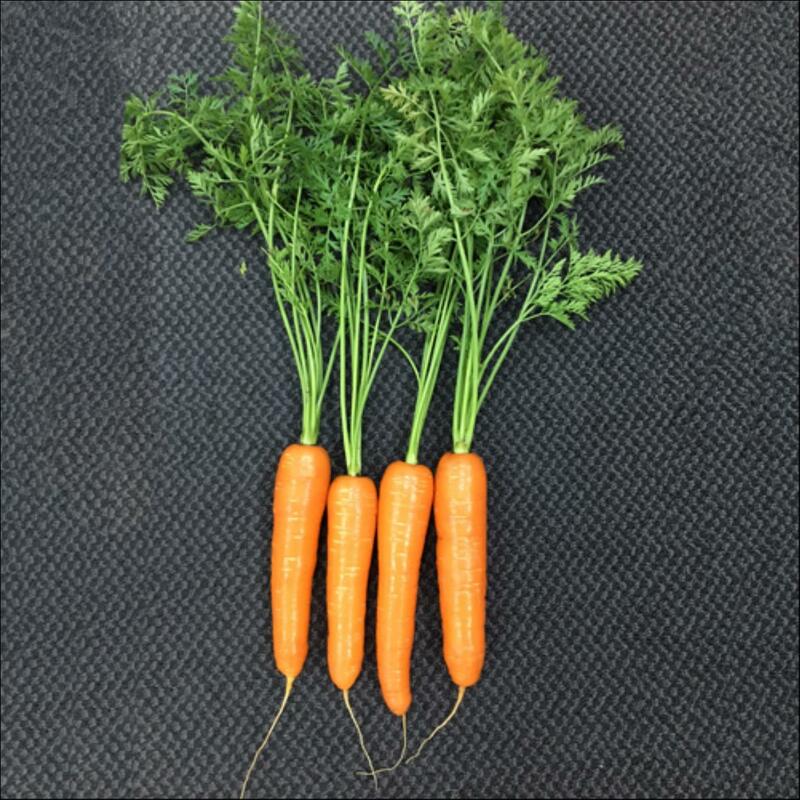 This variety has been a high yielding performer, with great uniformity. Best harvest slot is late summer through to winter. Luminous is slightly earlier than Nova, medium to early maturing, fast growing. Luminous is a hybrid Nantes/Kuroda type with strong tops. Roots have exceptional external and internal colour, 18 to 22cm in length. Tolerant to bolting under average climatic conditions, less bolting tolerance than NOVA. Best suited to Autumn through Winter and early Spring harvest in mild areas and has intermediate resistance to Ad. 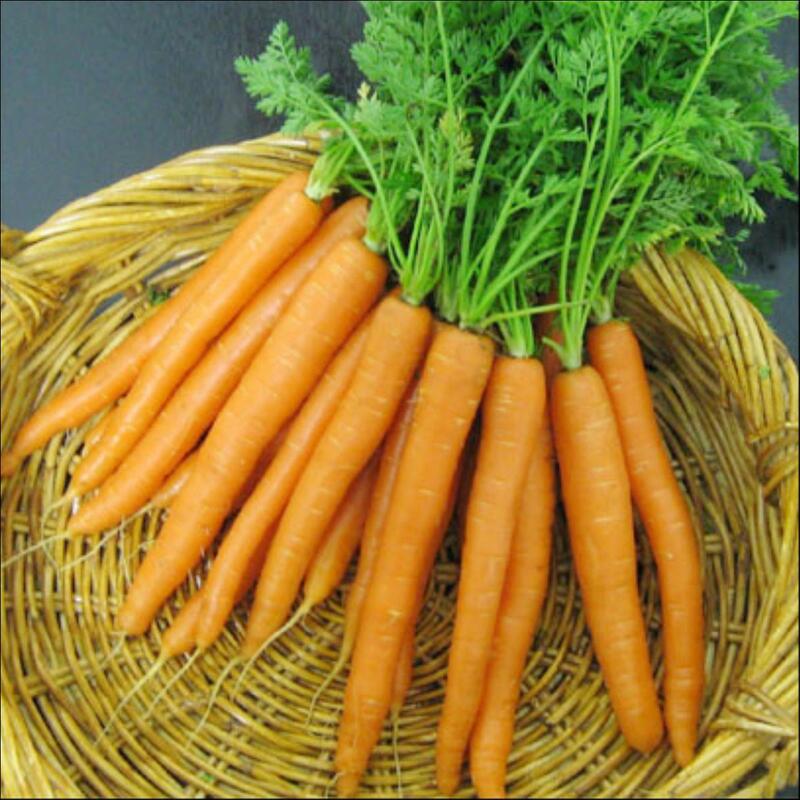 Munchy is a bunching carrot with strong dark foliage, good attachment and healthy tops. 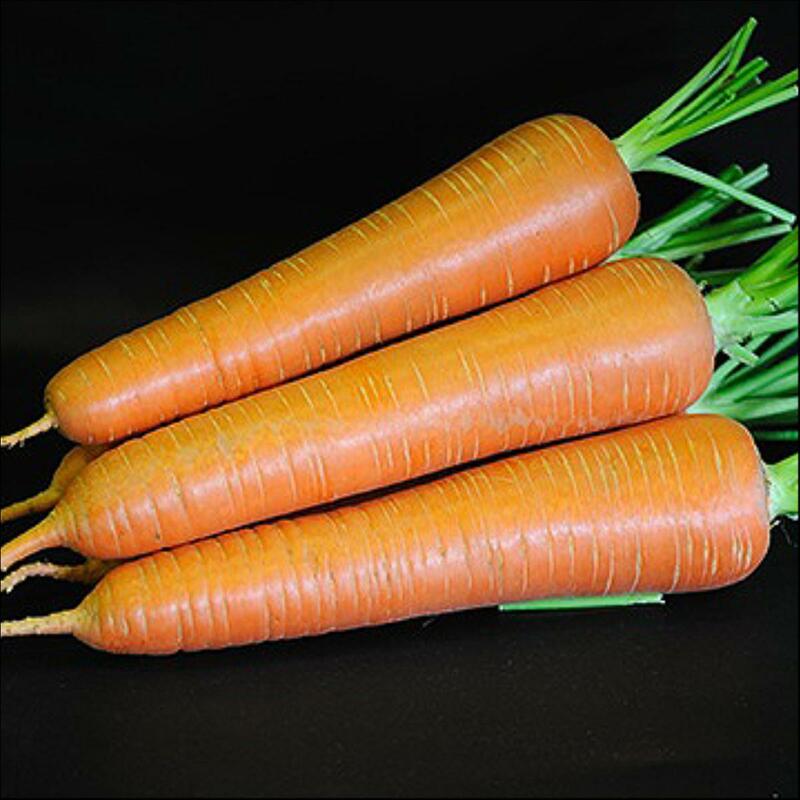 Roots are an excellent shape with a good colour and flavour, measuring 8 to 15cm long. 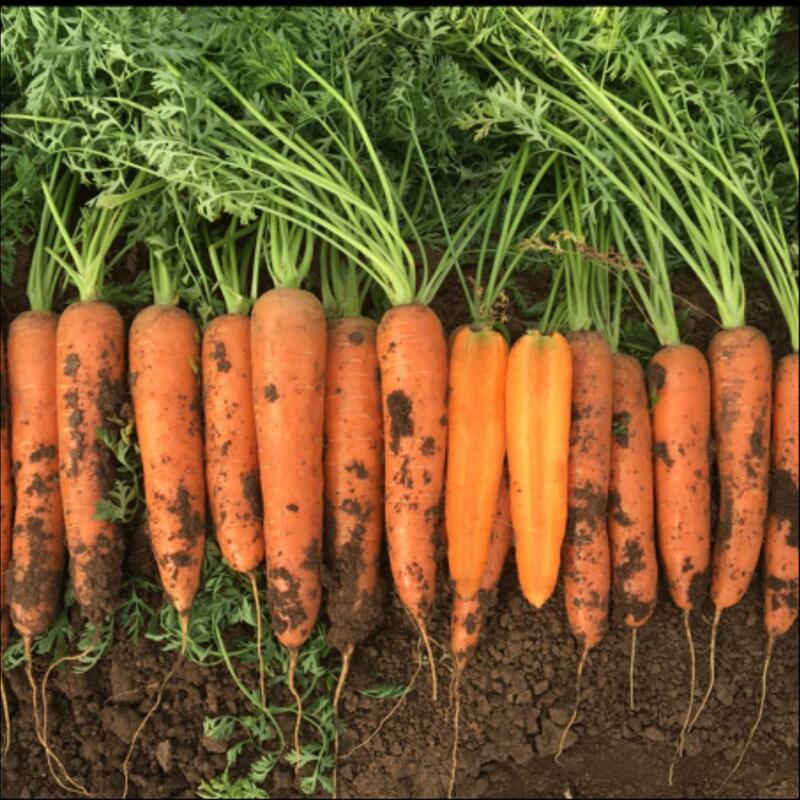 Munchy can be harvested all year round, but is exceptionally strong harvesting into the Winter and early Spring. Nativa is a large nantes line with strong tops well suited to machine harvest and high yield potential. 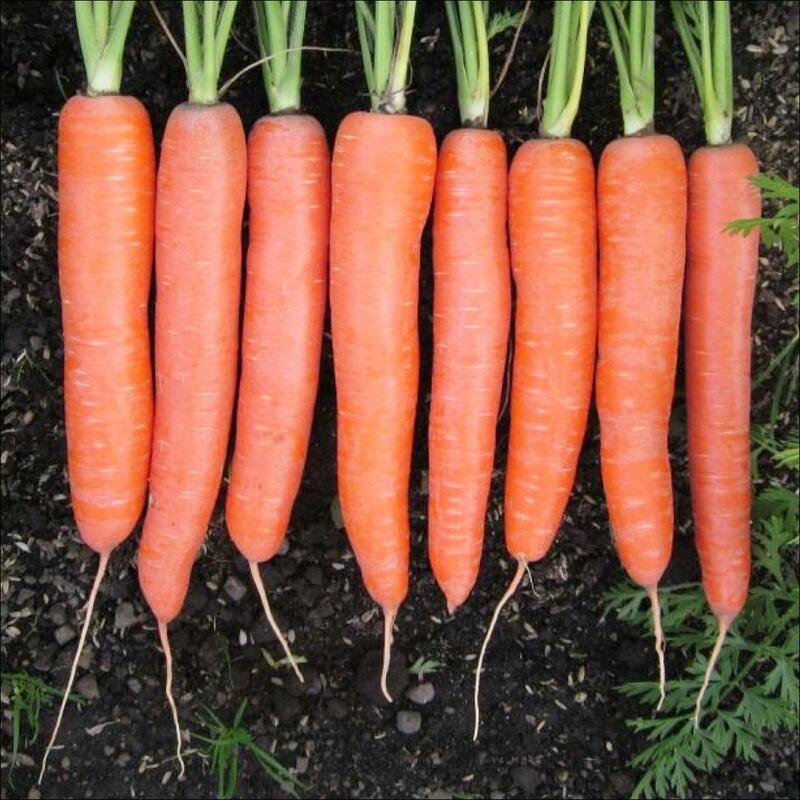 Roots are approximately 18 to 20cm long, well blunted with very good internal and external colour, similar to Marco, but a slightly heavier shoulder. Smoothness is exceptional. NOTE Not recommended for cool season sowings, as is bolt susceptible in these slots, but suitable for mid December to end February sowings. Nativa is resistant to Root Knot (Mj) and has intermediate resistance to Ad. Nova is a medium to early maturing, fast growing, hybrid Nantes/Kuroda type with strong tops with solid attachment. Roots have exceptional external and internal colour, 18 to 22cm in length, approx. 4cm at crown, depending on plant spacing. Uniformity of root size and shape is outstanding. It is tolerant to bolting under average climatic conditions and best suited to autumn through winter and early spring harvest in mild areas and has IR to Ad. Hybrid Nantes/Kuroda with exceptional quality and improved disease resistance. Earlier maturing than Nova. 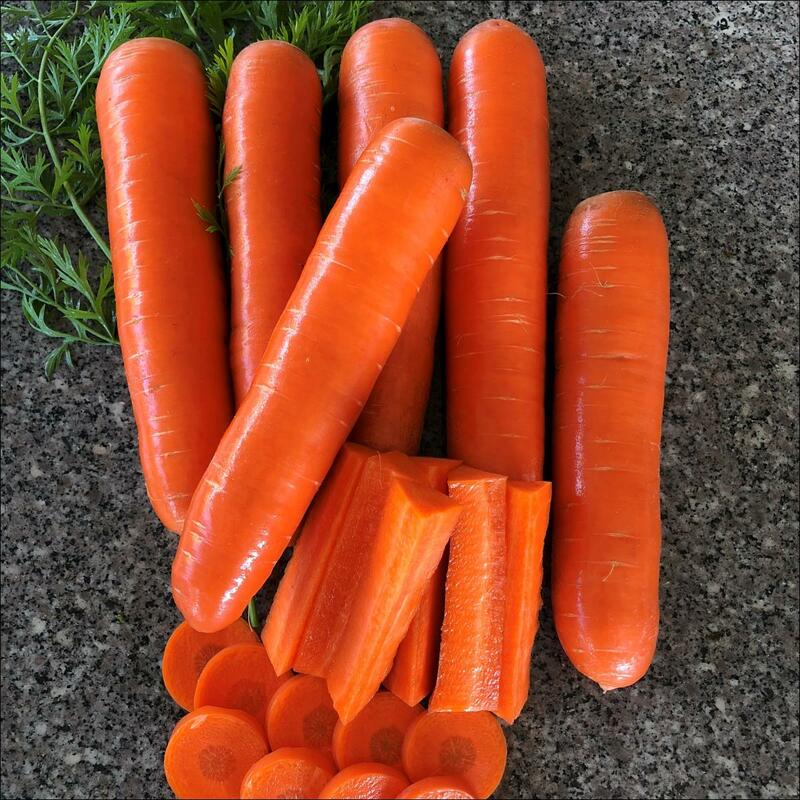 Carrots are exceptionally smooth and high yielding.